We are so excited to share our progress with you! Over the past few months we started Beta testing the SWYP Cards and we are improving the product based on suggestions from our testers. We will be expanding our Beta program to more users in the upcoming weeks. If you are selected for our next round of Beta testing, we will be contacting you soon. We have enjoyed hearing from many of you via e-mail and on social media. 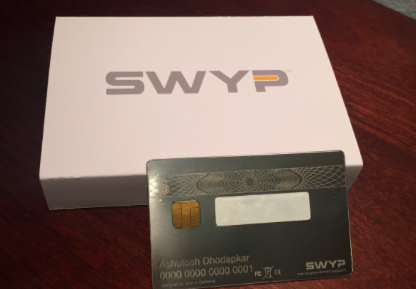 We know that you cannot wait to have your own SWYP Card. Many of you have been asking about when your card will ship. We are on schedule to ship your cards starting in late Fall of this year and will let you know an exact date as soon as it is set in stone. We want to hear from you! Do you have questions for the founders of SWYP? Wondering about where the idea came from? How the product was designed? Send your questions to support@swypcard.com. We’ll be answering your questions about the SWYP Card in a blog post later this month. We appreciate your support and enthusiasm.